Looking for a writer’s sanctuary? A place where you can leave the distractions of life behind and just sit down in peace to put words on the page? 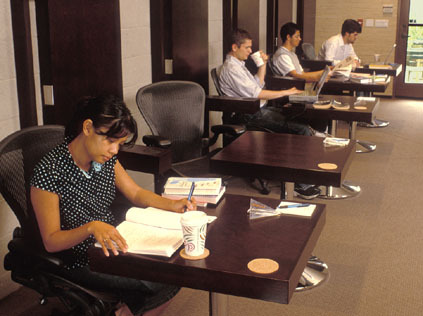 That’s what we offer here at theOffice – a quiet, communal workspace on the westside of Los Angeles. We have a roster filled with A-list screenwriters, novelists and more, but sometimes the cost of membership can be too much for up-and-coming writers. That’s why five years ago we started our free fellowship to theOffice. And we’re happy once again to offer it to you. Announcing our 5th Annual Free 6-Month Fellowship to theOffice. You send us an example of your best piece of writing along with a paragraph or two explaining why this fellowship would help you. We select one winner who will receive 6 months of free 24/7* access to the space. This is equivalent to a Premium Membership, the highest level of membership we offer, worth upwards of $2500. Winner gets his/her own door code to the space with the ability to come and go even when staff isn’t here. You wanna write at 2AM on a Wednesday night? The space is all yours. 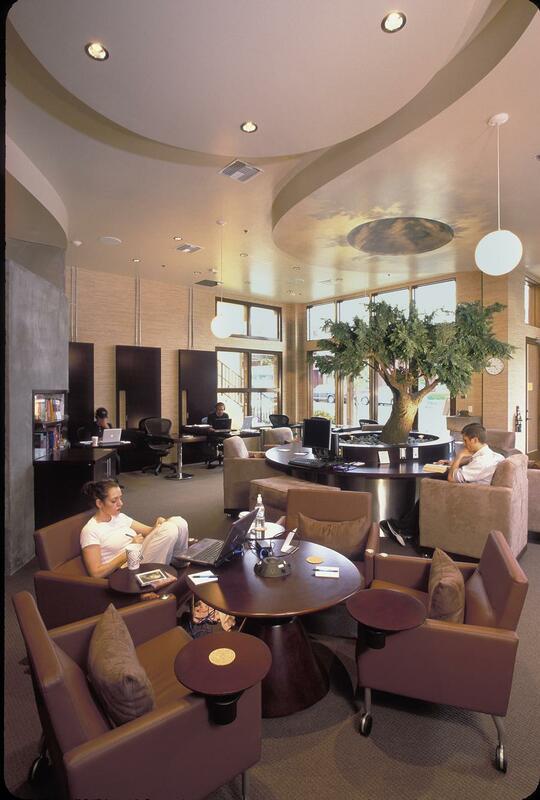 You also get all the other perks of membership including unlimited, free coffee & tea, wifi, ergonomic workstations with Aeron chairs, a small reference library and all the peace and quiet you can handle. The fellowship starts May 1st and goes through October 31st, 2015. It is completely free to enter. Winner will be announced the last week of April. Contest is open to all new/aspiring/struggling writers who are looking to kick their productivity into overdrive. Here’s what past winner, Omar Singer, had to say about his experience. Think of this as your very own writer’s retreat right here in the city. An email with your contact information: Full name, phone, and email address. We will contact the winner via email. A 10 page .pdf writing sample of your work. Attach this to the email. Your best 10 pages. Do not submit pages that need to be set up or explained. Send 10 pages that stand alone. Only pdf submissions. All other attachments will be deleted. Email to: theOfficeFellowship(at)gmail(dot)com by April 15, 2015. That’s it. You’re done! Do your research on theOffice. Don’t submit if you’re not local, if you’re not sure you’ll be available, if you don’t like writing in a room with others. Be honest, if you live in Pasadena and won’t want to drive across town to write every day, then this fellowship isn’t for you. If you don’t flourish in a quiet space, skip it. We want this to be of major value to the winner. Serious submissions only please. If you’ve never been to theOffice and would like to try it out before submitting, please do! You’re welcome to do the FREE WEEK. Just be sure to call first for availability. Contact info here. More photos of the space here. The field is open to ALL new writers. Submit 10 pages of your screenplay, play, short story, novel, memoir, poem, article etc. We’ll read it all. By “new writers” we mean you can have no feature film credits as a writer on IMDb (short films are okay) and no more than 1 hour of television credit as a writer on IMDb. For fiction writers, we just want to make sure you’re not someone with a three book deal and money to spare. Key words here are new/aspiring/struggling. DEADLINE to enter is April 15th, 2015. No submissions accepted past midnight PST. You must have sole writing credit for the sample pages you submit. This fellowship is for one (1) free membership and is non-transferrable. If you have any questions, please comment here, email the fellowship gmail address listed above or ask us on Twitter: @theOffice_LA. theOffice staff will NOT be able to assist you with the fellowship so please DO NOT call, email, or drop by theOffice with questions. Winner will be announced and notified by April 30th. This fellowship is an opportunity to take your craft and your career to the next level. If you are looking for a place to be inspired, a place to write with the big guns, a place to GET IT DONE, submit now. We look forward to reading your work! *theOffice is closed to ALL members Mondays 6PM-11PM, Saturdays 8AM-10AM, Sundays 8AM-10:30AM due to outside rentals. Otherwise, the space is yours. If you’re ever in LA, come try us out! And thank you for helping us get the word out on Twitter. Will you be doing this in 2016? Sounds like an unmissable opportunity, especially for those of us who have been marginally successful but aren’t making the big bucks yet. Hi Ace. At the moment we’ve got a fairly extensive wait list for membership so unfortunately we’ve had to push the contest start date. Once we’re able to get the majority of these waitlisters in, we will definitely be hosting the fellowship again. I know how important it is for aspiring writers to have the resources to become working writers, so hang tight, make sure you follow the blog and/or subscribe to the mailing list and we’ll let you know as soon as the contest opens.